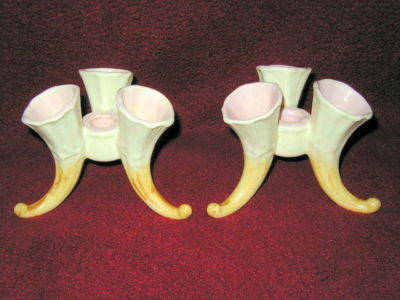 Billy Blue Eye Pottery is once again proud to be a part of this Saturday’s Whittier, CA Spring Street Faire. 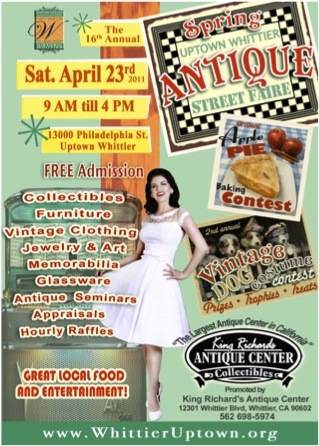 The twice annual celebration is held in Uptown Whittier from 9 AM until 4 PM. We will be located in booth # 36 which is located at the intersection of Philadelphia & Friends Streets. 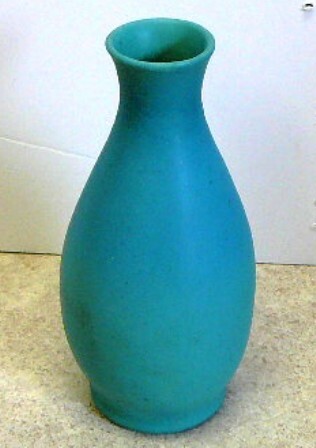 Once again we will be featuring a large selection of pottery from all of your favorite companies including Roseville, Weller, McCoy, Van Briggle, Catalina, Frankoma, Rookwood, Beswick, Red Wing, Royal Haeger, Sascha Brastoff and many more. We have plenty of great holiday gift ideas. Be sure to stop by and shop our treasures, We look forward to seeing you there!